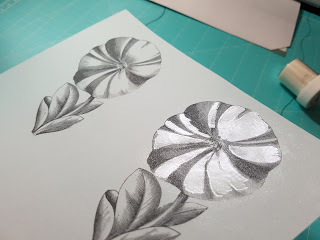 The theme of this challenge is Embossing and i though i would make something different for a change - i've embossed on vellum a partial image to create dimension! 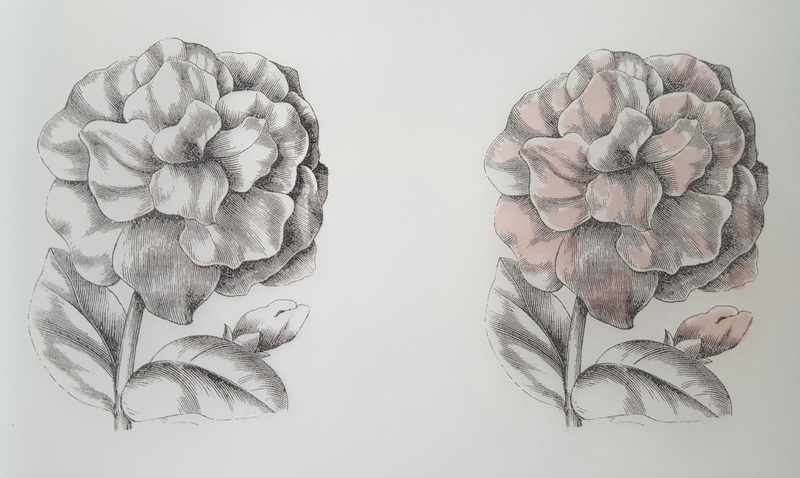 First thing's first - i have printed out some images and sentiments on Vellum. 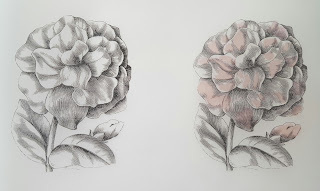 i've done a few varieties to give me some choice, play around with what works best and do a few cards in bulk while i'm at it. 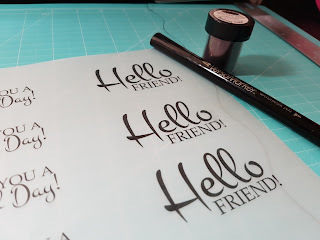 Then i have grabbed my Versamark embossing pen and traced HELLO part of the sentiment to get some ink onto the word. Before the ink dried, i have poured black Lindy's Stampgang embossing powder over the sentiment, shaken off the excess and heat embossed the area. 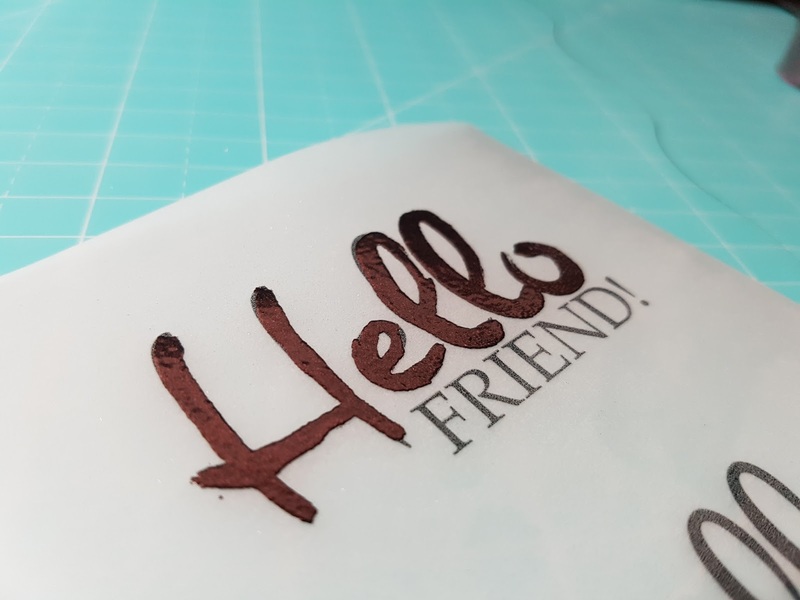 Be careful embossing on vellum - make sure you heat the heat tool up first before applying heat to vellum, then work quickly, moving the heat from one area to another and don't hold the heat on one spot too long or you will warp the vellum. For the flowers instead of tracing the outline of flowers to emboss, i filled in open areas of the flower itself with an embossing pen and used light pearlescent 2-tone Lindy's embossing powder to fill those areas and heat embossed. 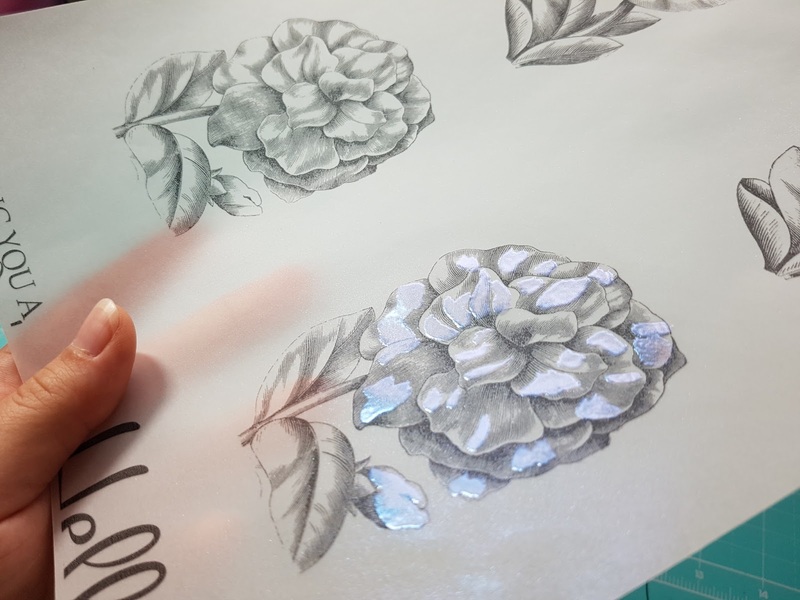 You can see how beautiful these embossing powders are when you move them at a different angle in the light. 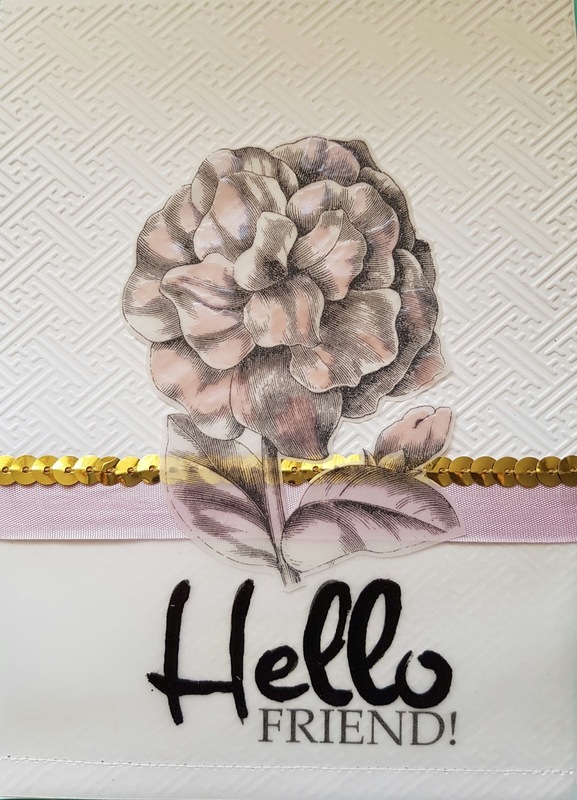 To put this card together, i have dry embossed white cardstock with a Cuttlebug embossing folder and my Cuttlebug diecuting machine. 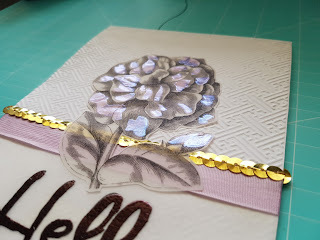 Layered a piece on top of white cardstock which is my card base. 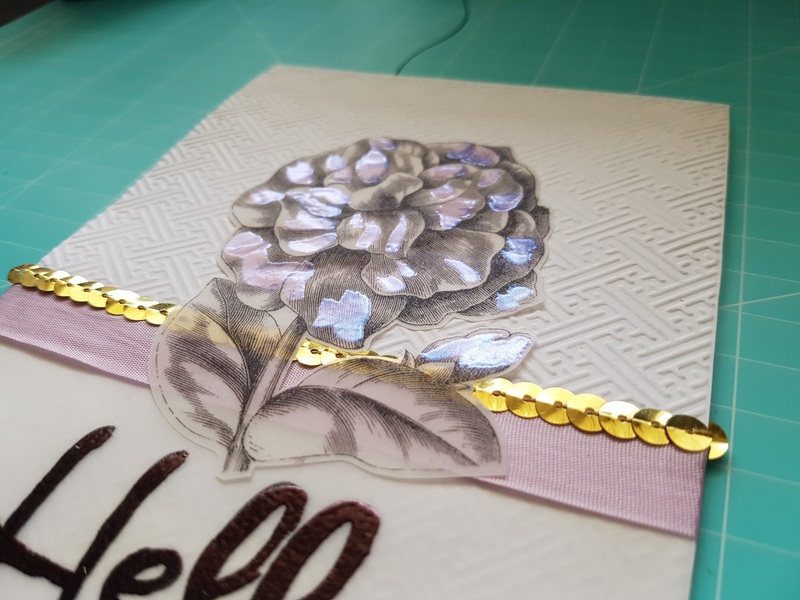 Placed a vellum sentiment piece at the bottom of the card, added some ribbon in the middle and glued the flower on top of the card. 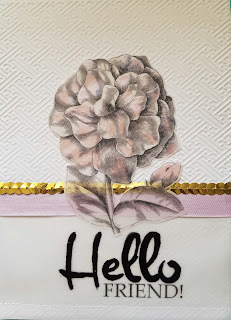 I have cut around the image with my scissors and used the flower as an embellishment and a focal feature of my card. Hope you enjoyed this little tutorial and if you have any questions or would like to see a tutorial video explaining more of these techniques, leave me a comment! 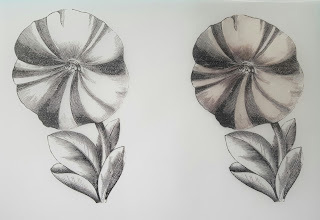 Copyright of The Art of Creating. Ethereal theme. Powered by Blogger.